Using wood sticks and nylon filaments Marcelo de Sousa, Cleber Ferraresi, Ana de Magalhães, Elisabeth Yoshimura and Michael Hamblin design von Frey Filaments which perform as well as their commercial alternatives. 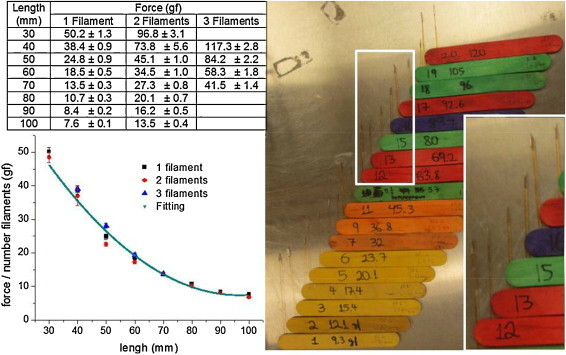 Von Frey filaments are simply columns of various diameters that buckle at different forces that are often used to diagnose an animals response to stimuli. This is known as a nociception assessment.